The Ronaqua multi-purpose use plastic tubing is produced in low density polyethylene for cold water applications. Our tubing provides the benefits of a wide range suitability, broad chemical compatibility and is made from non-contaminating materials. 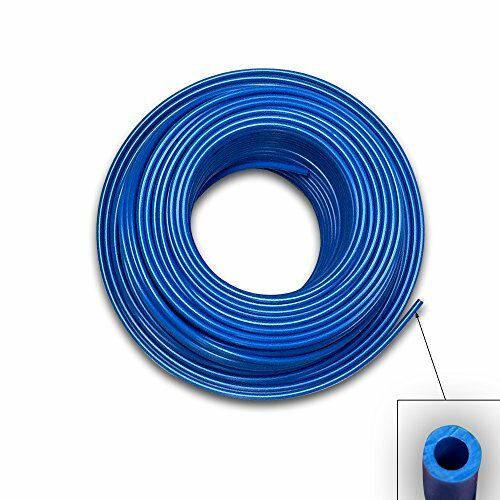 Mainly used for the polyethylene tubing are connection of RO drinking water filtration system, water purifiers, pure water machine, aquariums, and ice making kits ECT. This tubing made from non-toxic odorless & tasteless low density polyethylene and meets FDA standards and regulations. - Tubing for reverse osmosis and drinking water applications. - Non-toxic ingredients, odorless and tasteless. APPLICATION: Connection of RO Drinking water filtration system, water purifiers, Pure water machine, Aquariums, Ice making kits ECT. EASY TO OPERATE: Flexible, easy to cut, suitable to use with quick connect and John Guest fittings.